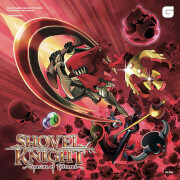 Brave Wave in collaboration with Yacht Club Games to brings you Jake Kaufman’s critically acclaimed soundtrack to new formats, including Vinyl, CD, iTunes and streaming services! What’s more, we’ve debuted two new pieces of amazing artwork by Mega Man and Pokémon artist Hitoshi Ariga with these new soundtrack releases, as well as two poster designs. 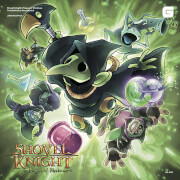 The 2-LP Set contains a customized vinyl tracklist crafted by Jake Kaufman, along with a digital download code containing the complete soundtrack.